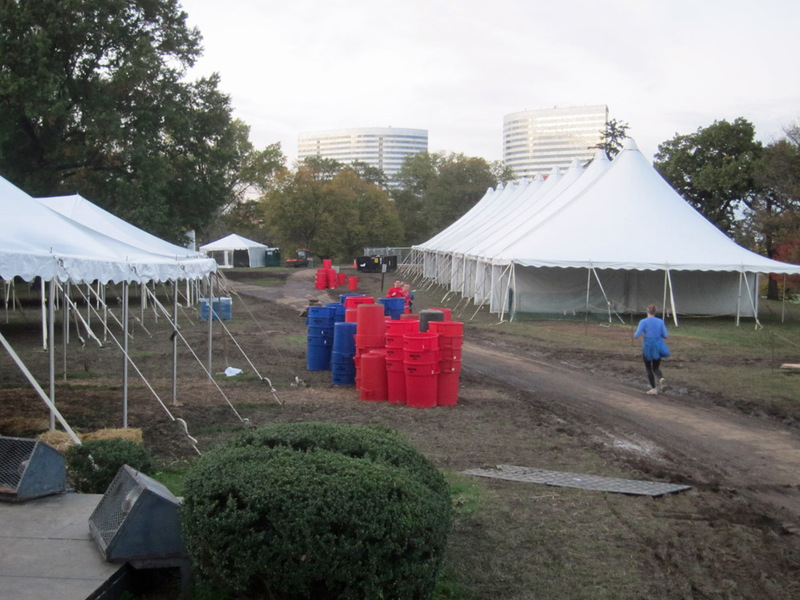 Rosslyn's world-famous Marine Corps Marathon had 20,895 finishers this year. Cleaning up after all these runners is another, under-appreciated marathon. The area around the Netherlands Carillon is currently muddy and filled with deserted tents. You can almost feel the ghosts of all those runners struggling up the final hill. This would be a scary place to visit on Halloween night.